If I want to experience viewing on a large screen I go to the cinema, preferably the IMAX. Or, these days, I could try an outdoor screening, a sports arena, a shopping centre…a museum? Few would deny that digital technology has well and truly come to museums, and has changed how visitors can access and experience collections. But we usually think about this in terms of the small screen – the smartphone, tablet, media guide – or simply in terms of showing a film. What about large, projected, immersive environments? Two current exhibitions on opposite sides of the Atlantic will make you look afresh at the big screen. 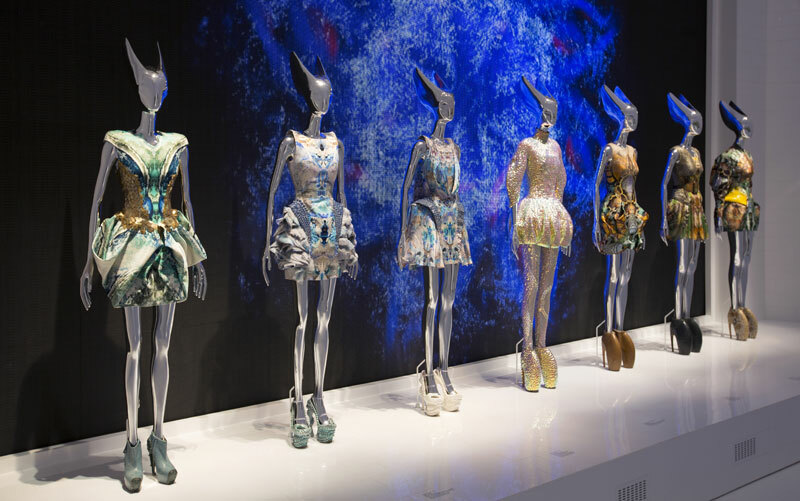 ‘Savage Beauty’ at London’s Victoria and Albert Museum has already attracted extensive media attention and record crowds. 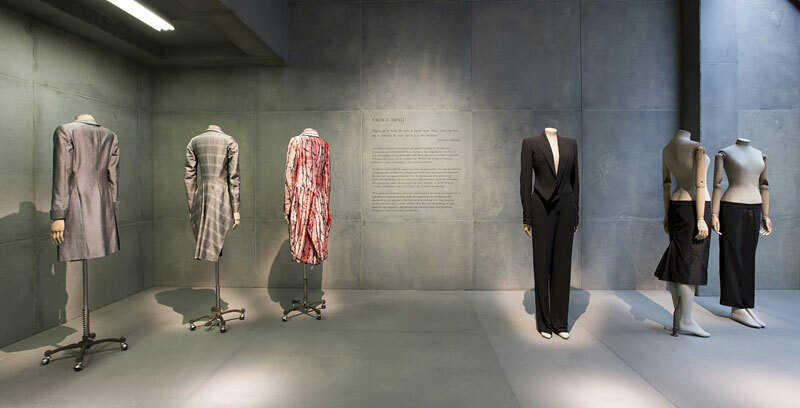 It tells the story of Alexander McQueen’s fashion career through a series of staged immersive rooms. You start in what feels like a gritty concrete warehouse and move into a gilt, mirror-lined room filled with golden light. One of the later rooms could be taken straight from Pirates of the Caribbean, and is seemingly lined with bones. 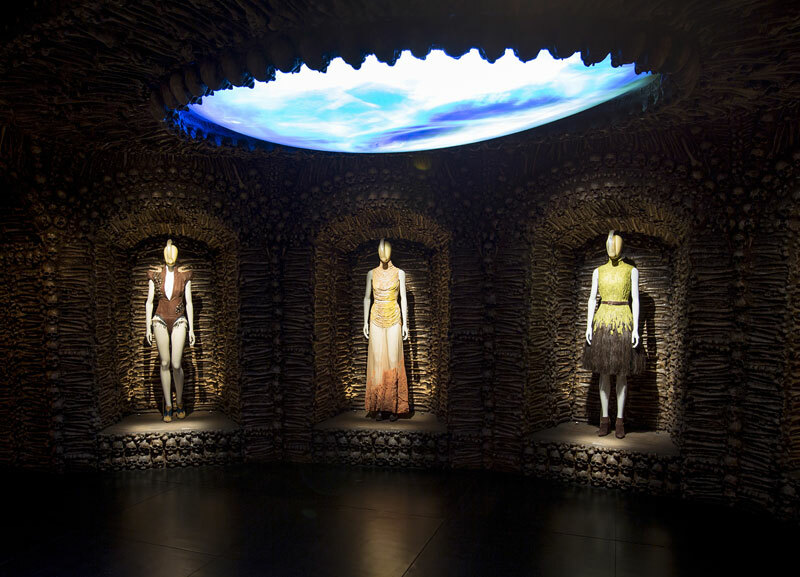 Each space evokes a different theme from McQueen’s collections, as well as the environments in which he developed and staged them. All include a strong soundtrack, and many a large projection of the clothes in movement on the catwalk. This is exhibition as theatre, at its furthest stretch without living actors. It is performative, immersive, overwhelming in its colour, noise and power. 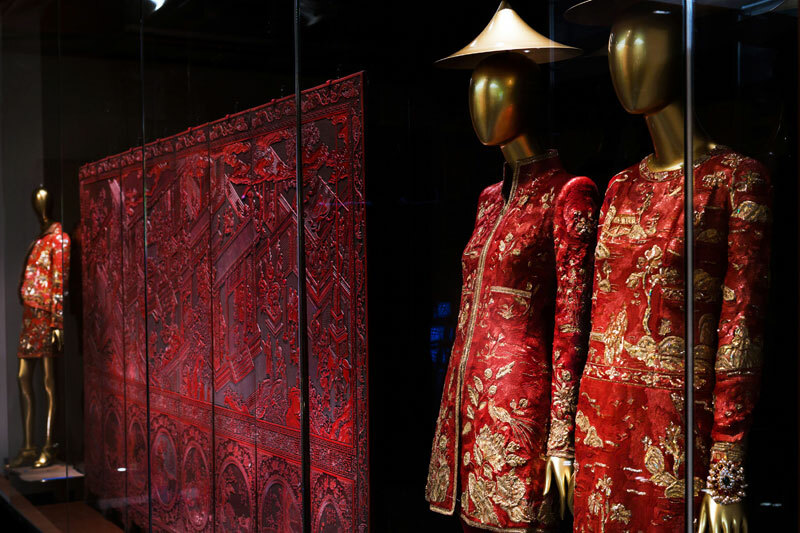 ‘China: Through the Looking Glass’ at the Metropolitan Museum of Art in New York does similar things. It is again ostensibly a fashion exhibition, but one that seeks to challenge Edward Said’s now canonical argument that the West has an Orientalist view of China. 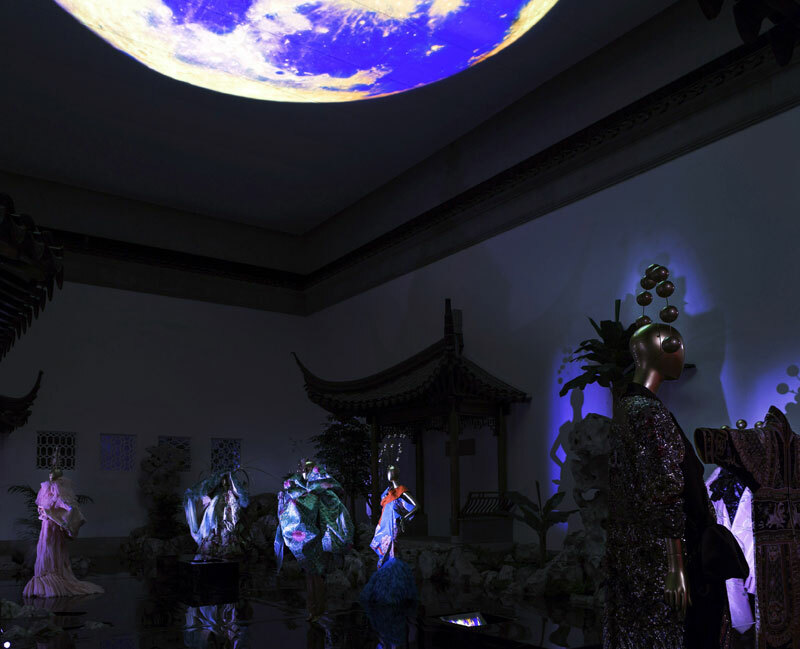 It does this by looking thematically at how both fashion designers and filmmakers have created a melting pot of responses to Chinese culture and artefacts. Strikingly, much of this takes place as interventions in the museum’s permanent galleries. The existing hall for ancient Chinese Buddhist sculpture houses a huge screen and brightly lit floor installation showing artistic responses to martial arts. Other spaces show the influences of blue and white porcelain, export silk, calligraphy, perfume, Ming furniture or Maoist uniform on modern design. Display cases throughout the museum each combine a contemporary fashion item with an object from the collection, to beautiful effect. Most of the exhibition surfaces are black and highly reflective, so that your perception of what is projected film, what contemporary fashion, and what museum object becomes blurred and fractured. It is an onslaught of sensory experience, making you re-evaluate, and re-experience everything you see. Of course, these two exhibitions present a relatively simple use of projected imagery, as they focus on fashion and film. But they show, nonetheless, how movement, colour, sound, and different perspectives can be brought to bear on new and existing collections, and how an exhibition can be made an all-encompassing experience. A screen doesn’t have to be so big budget. I was recently very struck by a visit to Leicester’s New Walk Museum and Art Gallery, where a series of projections form the core of their permanent gallery on German Expressionism ‘The Total Artwork’. A simple set of four pull-down screens combined with the gallery floor allows the idea of total art to be explored through a series of projected works, and also creates a space for performance and discussion among the 2D displays. This is projecting big in the widest sense, opening collections to a different type of experience, and allowing collections to act for themselves. 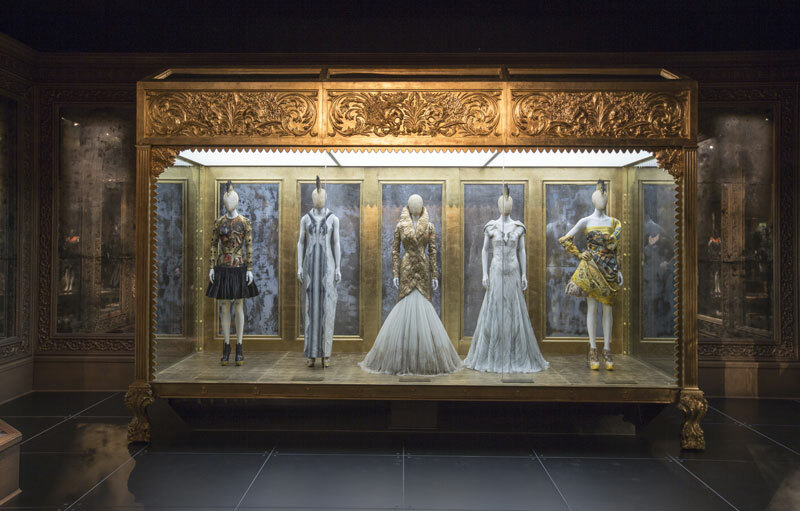 ‘Alexander McQueen: Savage Beauty’ is at the Victoria and Albert Museum, London, until 2 August. 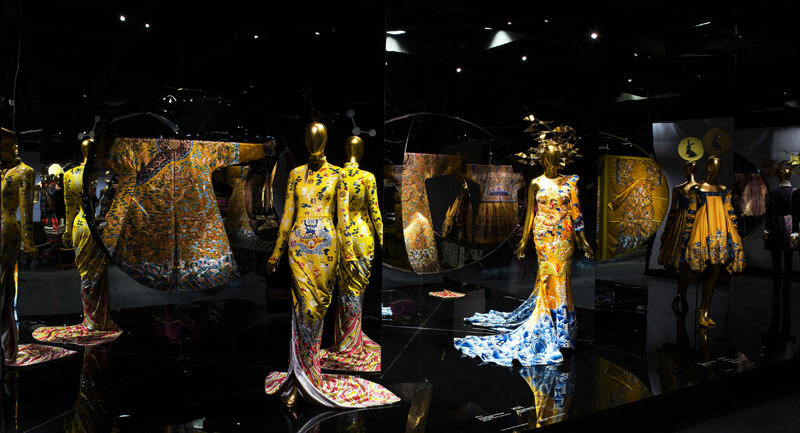 ‘China: Through the Looking Glass’ is at the Metropolitan Museum of Art, New York, until 7 September.